What you're seeing here (below) is an awesome image of Saturn's moon Dione as it passes right infron of the moon Titan taken by Cassini spacecraft. 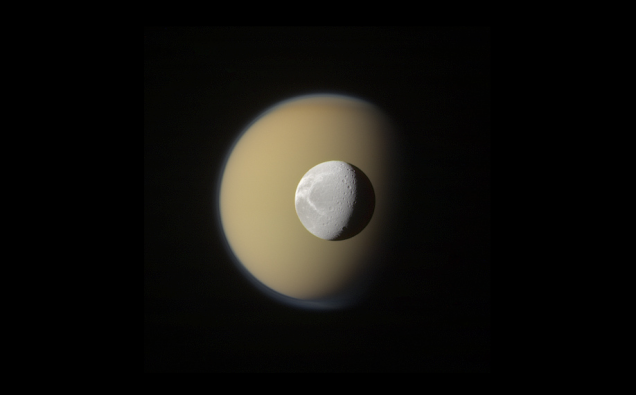 The detail in the image below is stunning, and you can also see the mist of Titan's atmosphere blushing around the curve of the lake-covered moon. Cassini NAC RGB sight taken 2011-12-07 20:53 UTC. You can also see more of Ugarkovic's stunning work in his Flickr stream.